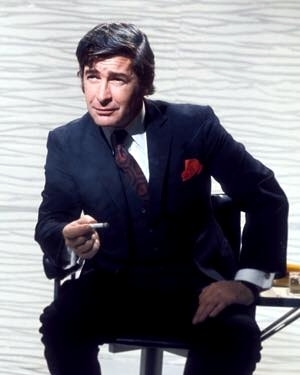 Having had success on ATV with Tonight With Dave Allen, the grey haired Irish comic embarked upon his most successful TV run with Dave Allen At Large, which ran for five series.It cemented his reputation as a straight talking comedian unafraid of tackling taboo subjects. 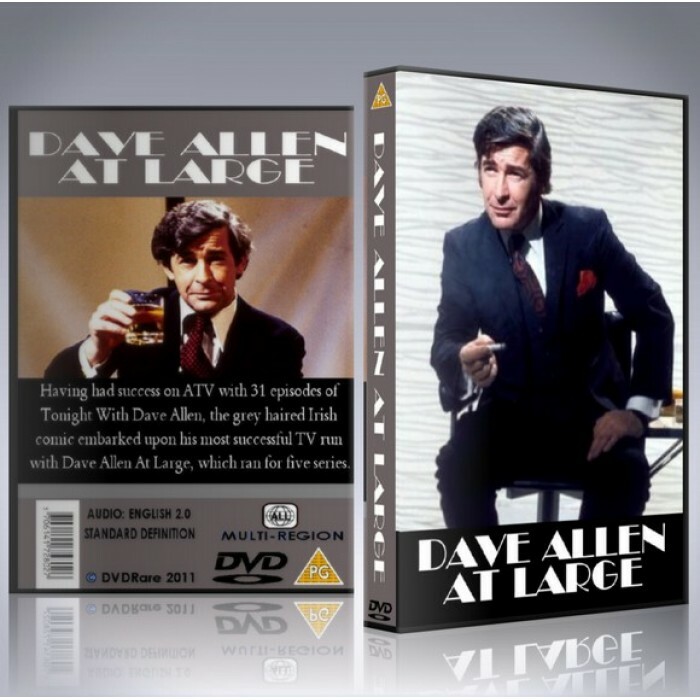 And now we are proud to offer you Dave Allen at Large on DVD. 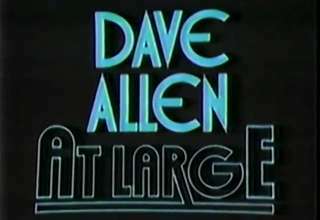 Allen was such a natural comic that he was the only stand-up who couldn't even be bothered to do that: instead he would deliver his opening monologues perched on a chair, languidly clenching a cigarette between his digits (one of which was noticeably truncated) and sipping on a ubiquitous whisky. His style was one of confused rage with the trivialities of life, delivered with a twinkle behind some of his more hard edged observations.The sketches invariably featured something dreadful happening to a coffin, Allen as a vicar, or him unsuccessfully attempting to flirt with women across a restaurant. The real breakthrough of these sketches was that the majority were shot on location and on film, giving them a glossy verisimilitude which marked the series out from other sketch shows. Allen was game enough to take on all sorts of characters: Sherlock Holmes, Dracula, a Mexican revolutionary, Robin Hood and perhaps inevitably, The Pope.